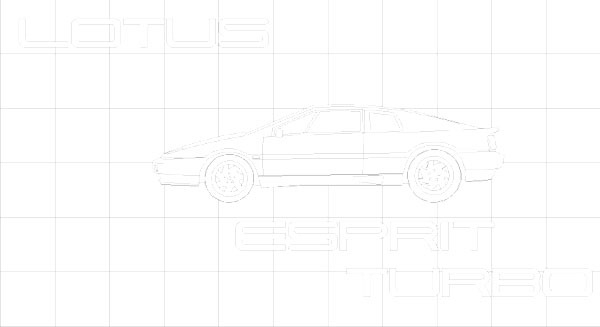 The Lotus Esprit X180 featured a Renault UN1-16 gearbox. The Citroen unit, used in the older Giugiaro Esprit S3 was replaced to safeguard future supplies of gearboxes, for increased Esprit production. The Renault unit was used in the Renault 25 and the Alpine GTA, but with the combination of ratios slightly altered for Lotus requirements. 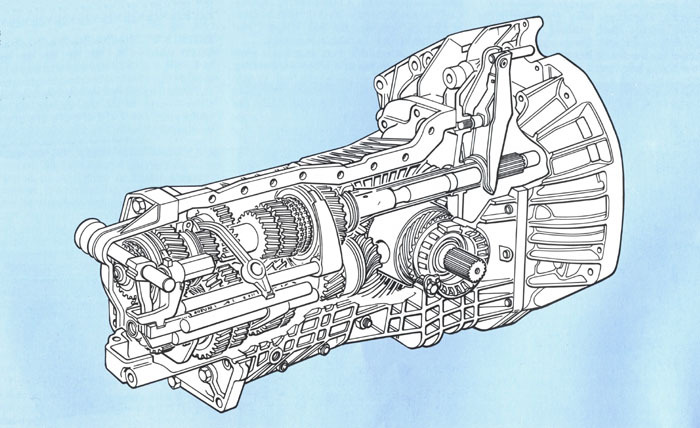 It is a fairly conventional two-shaft unit; the clutch drives the top shaft, which passes above the differential, with drive then travelling through one of five pairs of gears, or the reverse gear train, to exist forwards, via the bottom shaftt, into the differential. All five forward gears have synchromesh engagement. The gear lever is linked to the transaxle via two push-pull cables, attached to selector shafts within the tranaxle. Fore and aft lever movements make each cable move in the same direction, transverse movements in opposing directions. Thus, each lever position gives a unique position of the cables relative to each other and to the transaxle casing, which enables the selector shafts to engage the gears. To spread the costs of Federal re-certificattion, the first year's production of the US specification Esprit retained earlier, 9kg heavier 5 speed Citroen transmission. This had a lower torque capacity, insufficient to cope with the power of the 1989 model year US Lotus Esprit, so all cars had to Renault transaxle. It drives through a 235mm (9.25 inch) singleplate diaphragm-spring clutch, hyraulically operated.